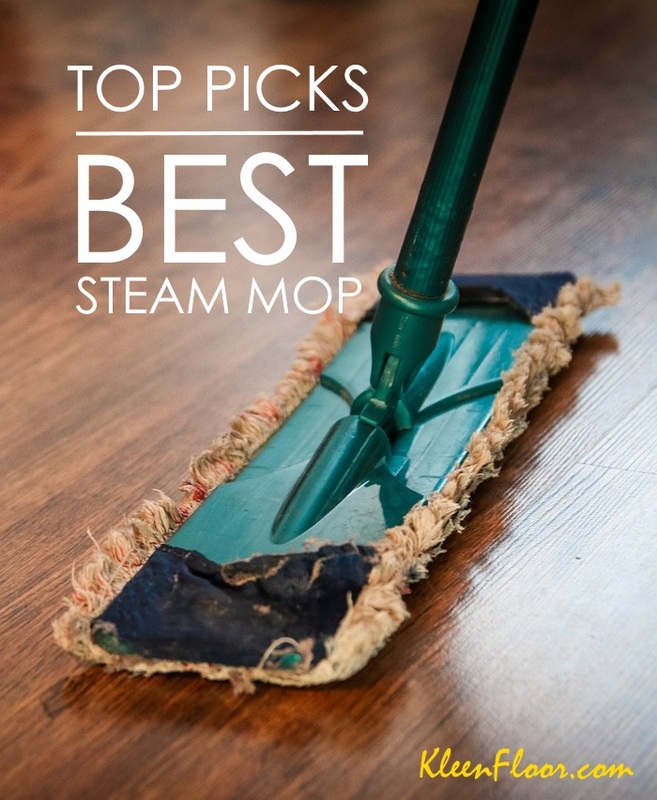 To give you the best heavy duty steam cleaner, not only did we go through the features of the products available online, but more importantly, we checked out what end consumers have actually experienced. As you know, it happens a lot of times that a steam cleaner has all the right features but fails in the execution part. 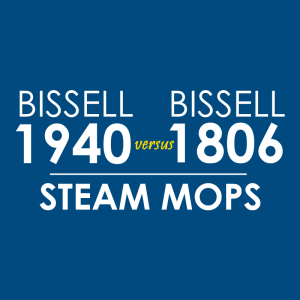 There are quite a few names when it comes to heavy duty steam cleaning. Some of them are more popular than the rest, but it doesn’t necessarily mean they’re the best. 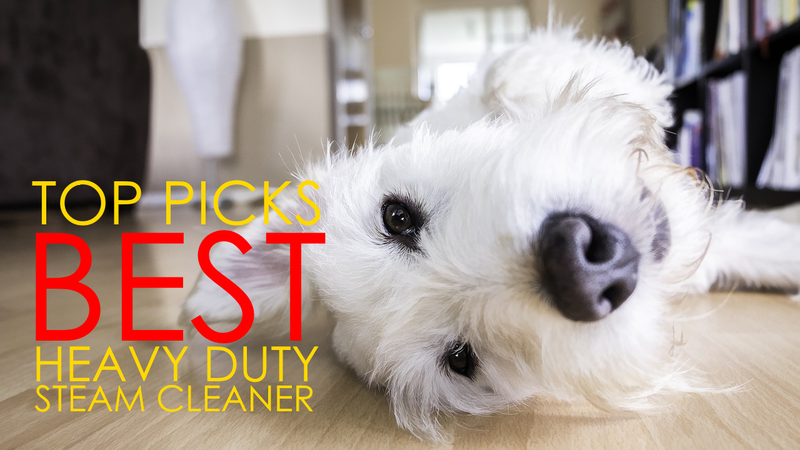 Here’s our top picks for the best heavy duty steam cleaner brands. There is a reason why car owners love the McCulloch MC1275. It comes with 18 versatile accessories that you can interchange when you want to clean some parts of your car. If the backseats need some serious steam cleaning, you can always plug in one of those utility brushes and wick off dirt, bacteria, and stains from the seats. Watch this video for a demonstration on how to steam clean car sets using the McCulloch MC1275. Other than a reliable cleaning machine for cars, the McCulloch MC1275 performs well on sealed flooring surfaces. Examples include wood, tile, and laminate. To get started, all you have to do is to put the floor mop attachment. What else can you expect from the McCulloch MC1275? Expect a large water tank that has a 48 oz. capacity. This should give you a maximum steam time of 45 minutes. Expect it to be 10 lbs. in weight and that it comes with a 15-ft. cord. 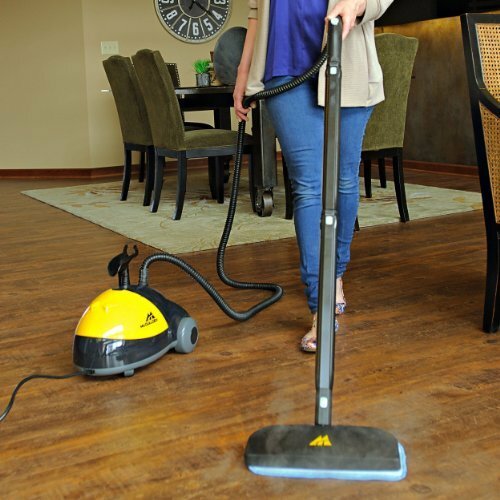 There are at least two reasons why you want the Wagner 915 steam cleaner. First, it comes with a wallpaper steam plate that helps remove your old wallpaper chemical-free. It releases pressurized steam that, compared with its non-pressurized counterparts, helps remove wallpaper 20 percent faster. Second, this heavy-duty steamer comes with a fingertip control that lets you choose between two modes of steam operation. Choose between “continuous” or “intermittent” steam. This steam cleaner may not have as many accessories as the McCulloch, but it’s also multi-functional. To clean above-floor surfaces and furniture pieces, choose from a window squeegee and utility brushes. These brushes are ideal for steaming hard-to-clean items of the house such as faucets and barbecue grills. 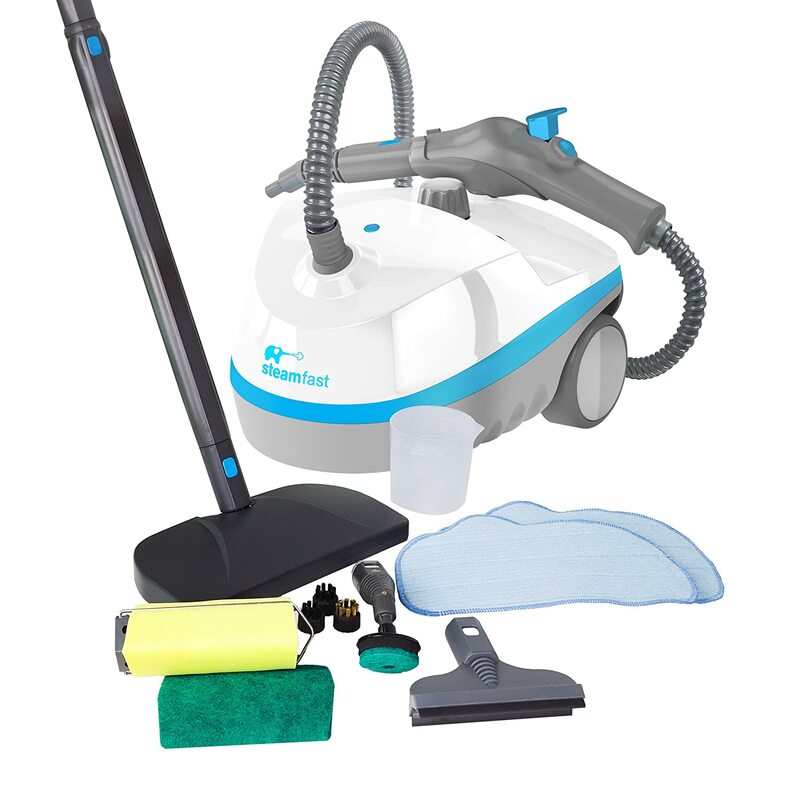 Two features that we like about the Steamfast SF-370WH is its on-demand steam control and its integrated cord wrap. This steamer is designed to release up to 45 minutes of continuous steam, but because of its on-demand steam control button, you can choose to steam at irregular intervals. As for its integrated cord wrap, we love this feature because other brands have the cord wrap feature outside the unit. With the Steamfast SF-370WH, the cord can be stored inside. What is a multi-purpose steam cleaner without accessories? 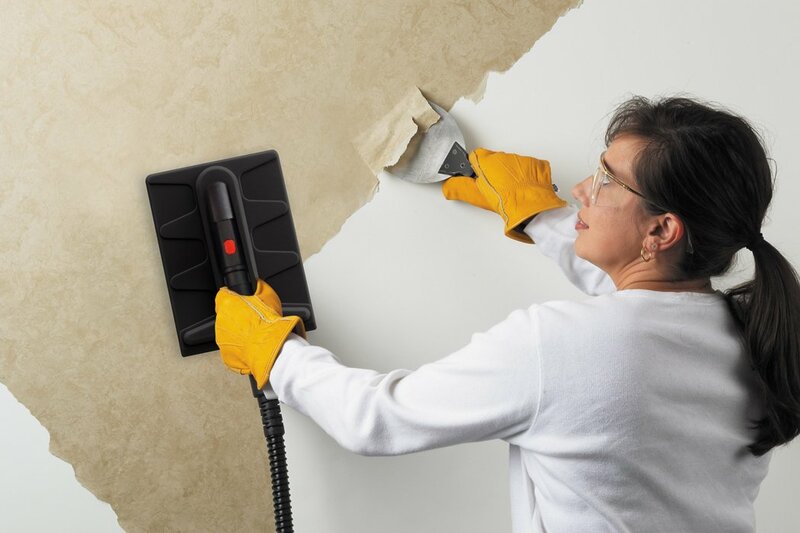 The Steamfast SF-370WH comes with 15 accessories, which include a jet nozzle, 2 nylon utility brushes, a scrub tool, a squeegee, a corner tool, a scrub pad, a sponge pad, and a mop head. These accessories ensure that you clean a variety of surfaces. The Vapamore MR-100 Primo comes in an attractive shade of yellow, and we just can’t take our eyes off it. 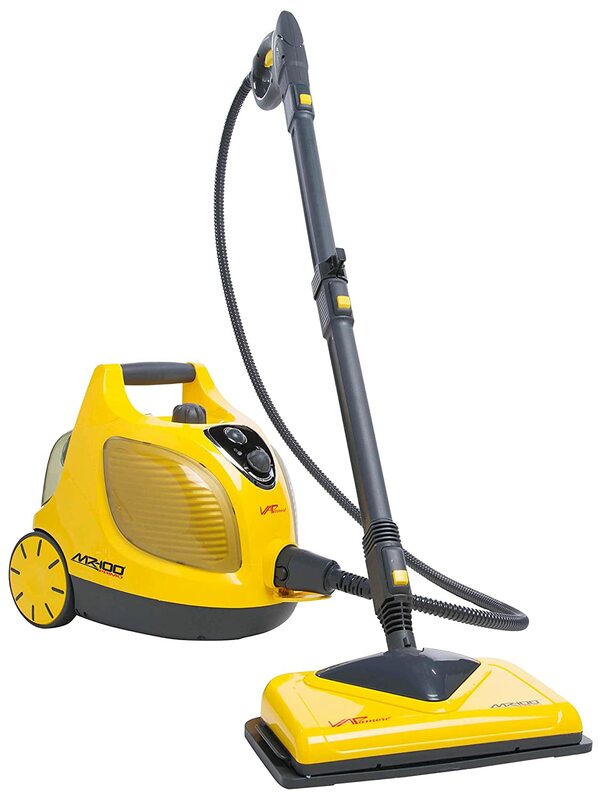 But other than the beautiful exterior, there are a few things we love about this heavy-duty steam cleaner. For one, it gives you 60 minutes of continuous steaming, which is 15 minutes longer than the McCulloch and the Steamfast. It comes with a 1/2 gallon water tank, so if you have a large space to clean, consider having this steamer. The Vapamore MR-100 Primo weighs a lot at 20.5 pounds, but it has an onboard compartment that you can use to store its 18-ft. cord and accessories. Speaking of accessories, expect to get the following when you unbox your package: triangle corner brush, water level dipstick, steam gun and hose, carpet slider, jet nozzle tool, detail scraper tool, nylon grout brushes, brass metal brush, and squeegee. With all these parts and accessories, you should be able to clean a wide variety of surfaces such as appliances, grouts, carpets, vinyl, garage floors, and windows.